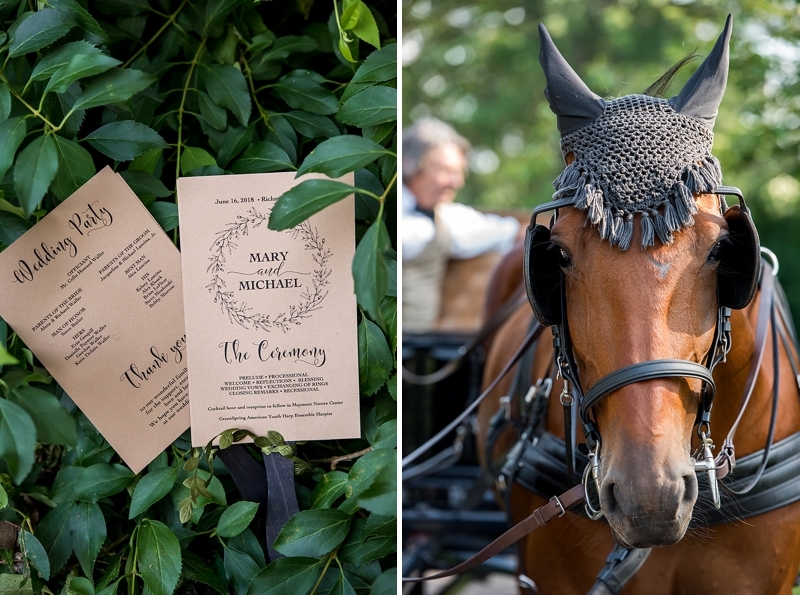 As self-professed animal lovers, you can't not get our immediate love when you say you incorporated your furbabies into your special day. 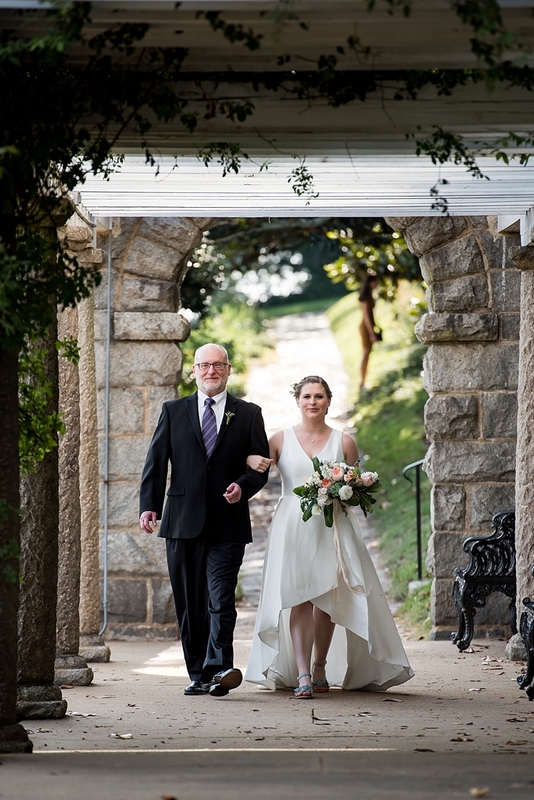 It's a total "stop all things internet while we gush" moment. 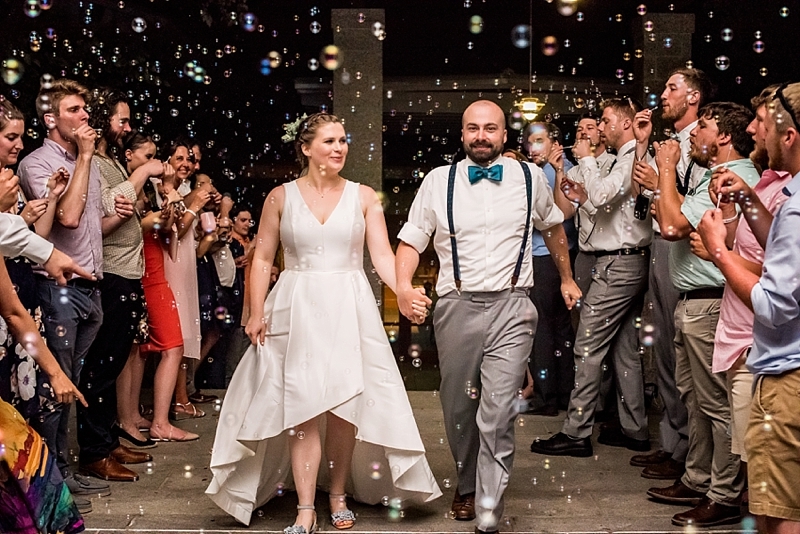 So when Mary and Mike shared that they started talking online at OkCupid all because she had a profile photo with her black cat, and he had a profile photo posted with his white cat, then pardon us while we try to mop up our melted hearts and squee over these two teachers' love story captured by Awesomesauce Photography. 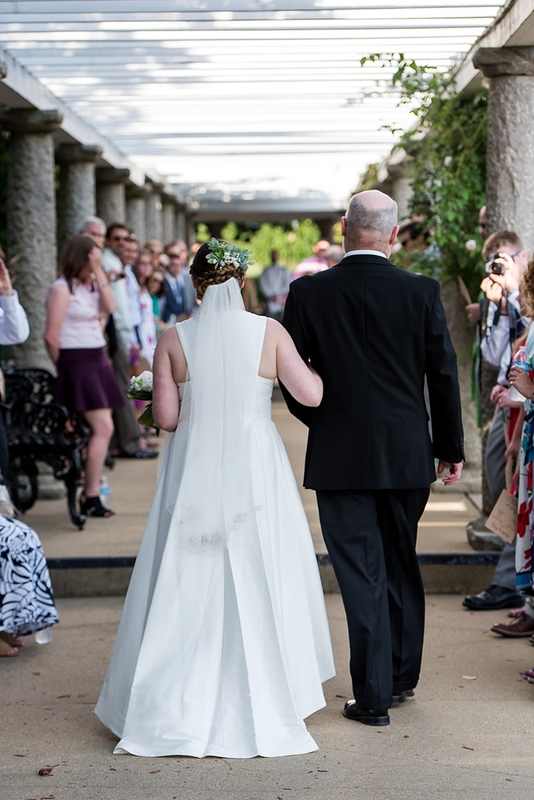 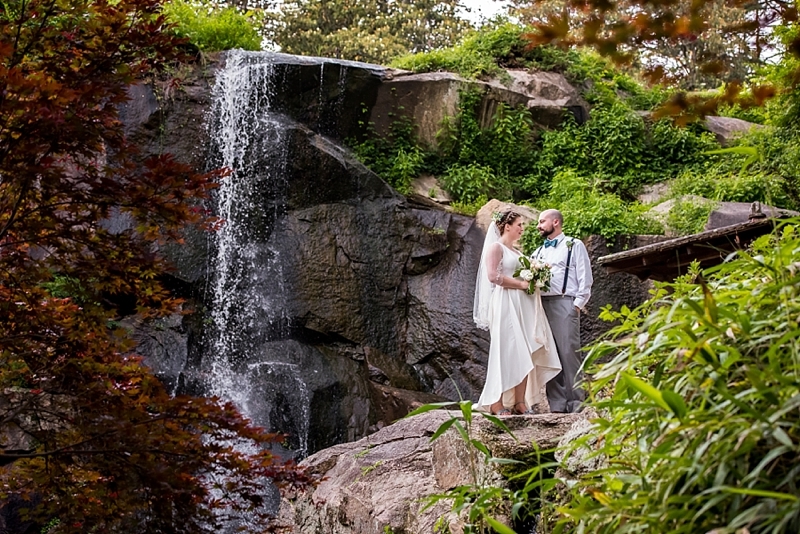 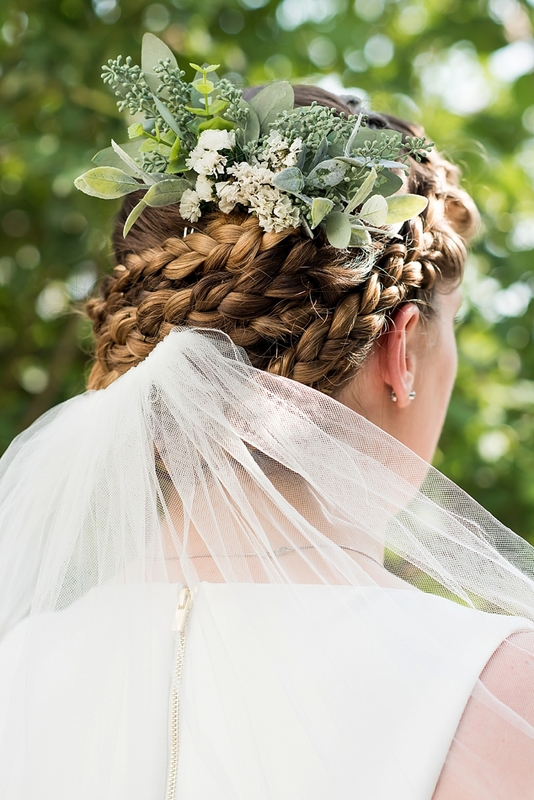 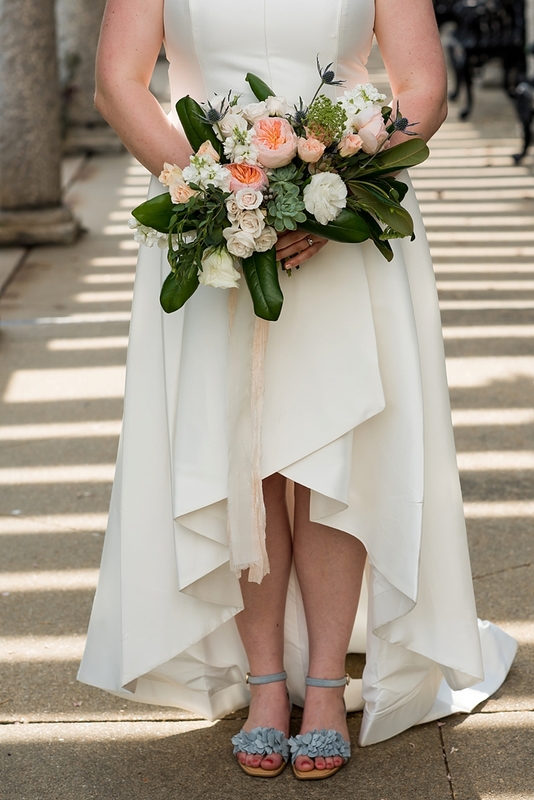 Surrounded by lush gardens and waterfalls at Maymont in Richmond, Mary and Mike said I Do with their closest loved ones in the Italian Garden under the domed pergola coordinated by The Hive Wedding Collective. 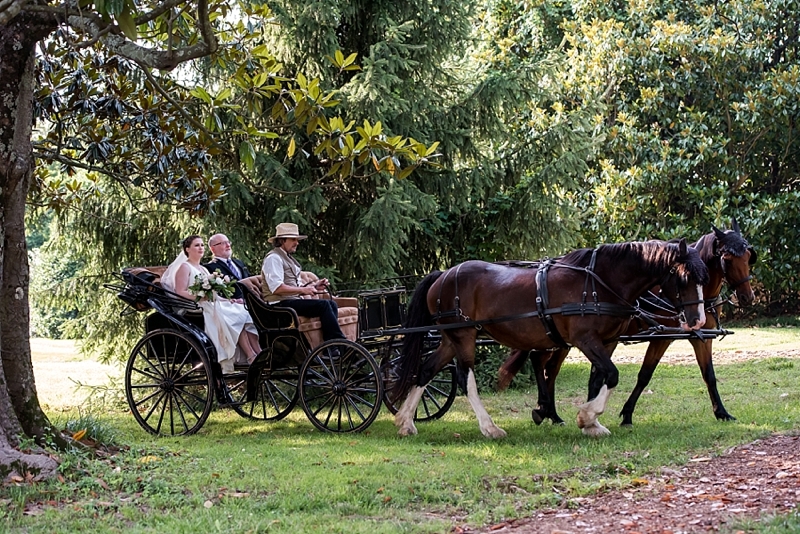 As a grand entrance, the bride and her dad rode in on a classic horse and carriage ride, but one of the couple's favorite memories is when after the ceremony, Mary and Mike exited the same way, except this time, Dani the horse made some very unromantic noises that had the two newlyweds laughing hysterically. 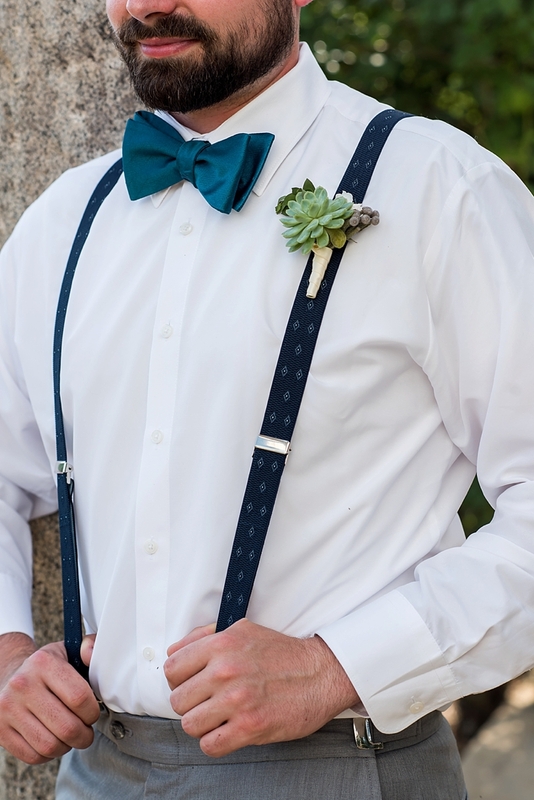 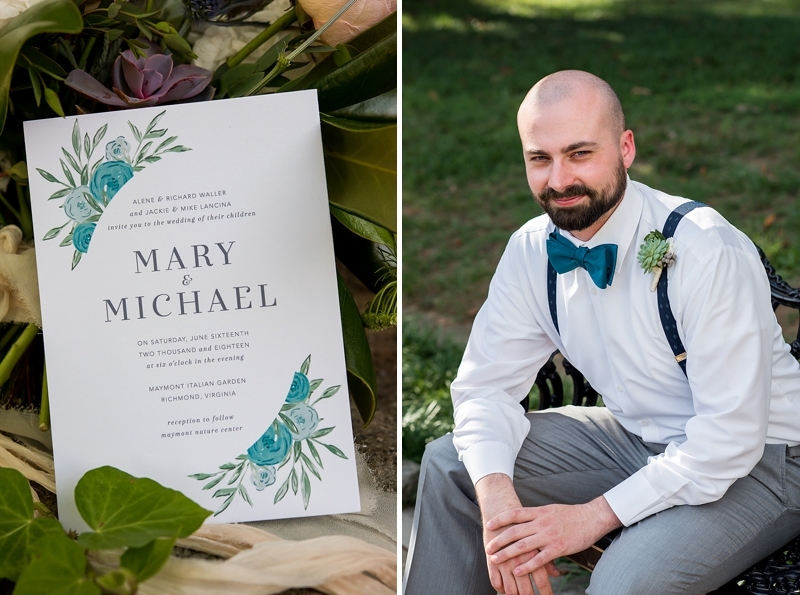 Dressed in a high and low hemmed wedding dress and snazzy blue suspenders and bow tie, the bride and groom celebrated in simple and elegant style. 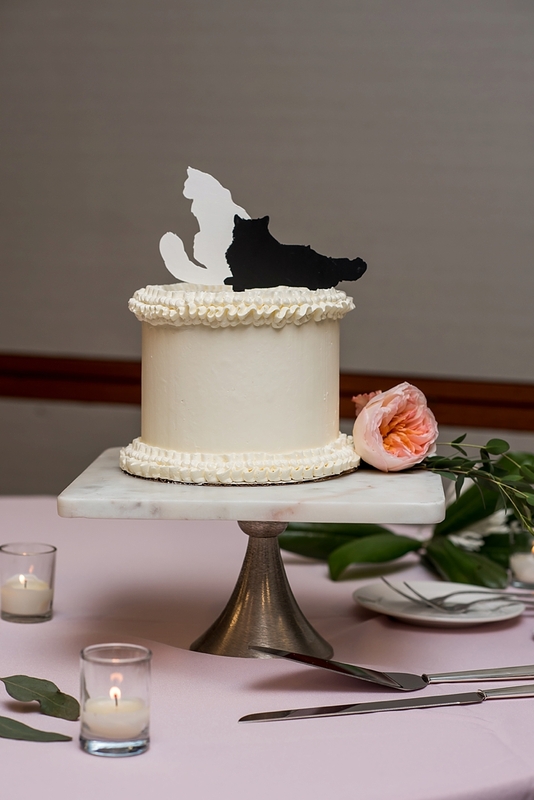 Since they couldn't have their kitties with them on the day of, they had the cutest black and white cat cake topper atop a one-layer buttercream cake. 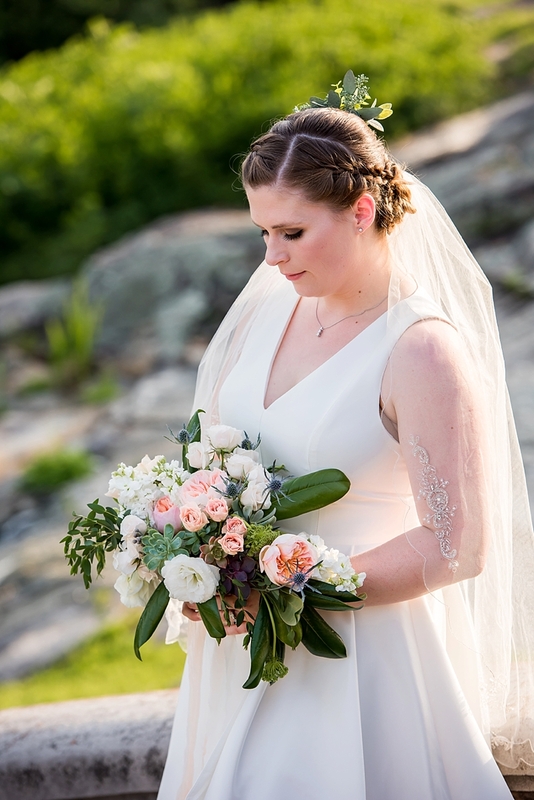 Garden roses, succulents, and blue thistle gave texture to Mary's bouquet while a bubble departure gave a playful vibe to end the evening.